Macarism – pleasure in another’s happiness; a beatitude. One of the wonderful signs of human resilience is the ability to laugh in the face of great difficulty and to find the seeds of comedy in disaster. You can read the whole thing at News Biscuit. When the house stopped shaking last Saturday morning we turned on the television and radio. It was too soon for local TV programmes but the BBC told us there’d been an earthquake in Canterbury, National Radio followed, relaying text messages and emails before reporters got to work. Soon after TVNZ had pictures. Heeding messages not to phone or text unless absolutely necessary, we waited for news from friends further north. The rest of the country and people overseas waited too for the inevitable stories of tragedy and found it difficult to believe when they didn’t come. Homes were destroyed and treasures broken; people were injured, but few seriously, and nobody was killed. The media went in search of trauma and despair and didn’t find it. The real story of our earthquake is that it has done so little damage and caused so little grief. The real story of our earthquake is that only 400 people in a city of 360,000 needed special shelter. The real story of our earthquake is a hundred thousand unsung acts of kindness, publicly evidenced by all those Facebook recruits in Sam Johnson’s Student Army. Which brings us back to Tuesday’s question. The host in Auckland was interviewing a helper at the Addington Welfare Centre. She said 189 people had stayed overnight and expected more may arrive. “You must have heard some tragic stories,” said the interviewer. The woman paused. She appeared to know what was expected of her and did her best. “Well, some people are worried about their pets,” she replied. When we build a monument to mark this violent event, those are the words that should be carved on the plinth. Not to minimise or trivialise the damage done but to put it into context and to celebrate what is, in truth, a great escape. “Some people were worried about their pets”. Carve that in stone and let the words reflect the strength of the things we’ve made and the resilience we’re made of. The bean counters who seem to have too much sway in the media think that bad news sells. They may be right and to report only positive stories is a form of censorship. But good news is good news and it’s been a pleasant change to read, hear and see so much of it in the past week. The 10,000th comment on this blog was made last evening. Thank you Scrubone for that one and thank you to all who contributed the other 9,999. I read all of them and appreciate most of them – even many of the ones I don’t agree with. That which doesn’t kill you . . . Months after our second son died I was feeling awful. I took myself to my GP with a long list of symptoms, convinced I had at least one very serious illness. He asked me if I remembered feeling like this after the death of our first son, and I said no. But later that day I thought about it and realised I had. The pain of losing our baby had become physical the first time but it hadn’t immunised me and I was feeling similar symptoms the second time. There is no instant cure for grief, it’s not so much an illness you get over as a process you go through and we all go through it differently. Most of them are wrong because most of us can and do cope when life throws us from the bowl of cherries into the pits. We may not always cope well, but we cope as best we can and most of the time we cope well enough with our own resources and the love and support of family and friends. Most isn’t everyone though, some people don’t cope and need professional help. That’s the reasoning behind sending counsellors to Canterbury to help people deal with the psychological aftermath of the earthquake. But Christchurch doctors are warning that hyping up natural fear and distress may do more harm than good. Pegasus Health chairman Martin Seers said staff had been in touch with international experts who said “medicalising” people’s responses after a natural disaster could be harmful. “We’re increasingly worried about the hyping up of people’s natural distress and think that will start creating mental illness instead of solving it,” he said. . .
. . . Canterbury psychological health earthquake response team spokeswoman Dee Mangin said most people were experiencing some psychological and physical symptoms of stress. Mangin, who is also Pegasus’ mental health spokeswoman, said GPs wanted to put a clear message out that this was normal and healthy and did not mean people needed professional help. This doesn’t mean no-one will need help and what the doctors are saying shouldn’t be interpreted to mean those who need help shouldn’t get it. It doesn’t mean everyone won’t feel a range of strong, negative emotions including anger and despair. These are normal reactions to abnormal stress. But most will be able to cope with what they’ve been through, the on-going difficulty of getting back to normal and the feelings associated with all that. Friedrich Nietzsche said, that which doesn’t kill you, makes you stronger. He could have added that most of us don’t know how strong we are until we’re tested. 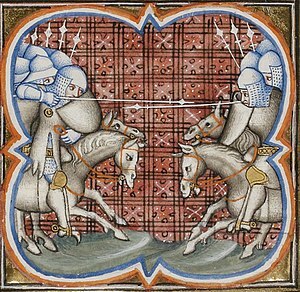 1213 Albigensian Crusade: Simon de Montfort, 5th Earl of Leicester, defeated Peter II of Aragon at the Battle of Muret. 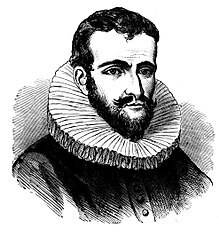 1575 Henry Hudson, English explorer, was born (d. 1611). 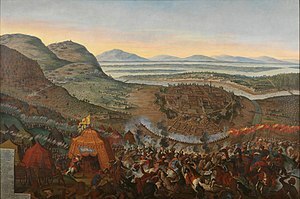 1683 Austro-Ottoman War: Battle of Vienna – several European armies joined forces to defeat the Ottoman Empire. 1814 Battle of North Point: an American detachment halted the British land advance to Baltimore in the War of 1812. 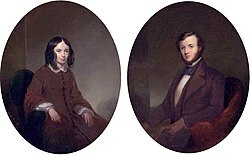 1846 Elizabeth Barrett eloped with Robert Browning. 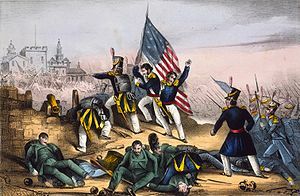 1847 Mexican-American War: the Battle of Chapultepec began. 1848 Switzerland became a Federal state. 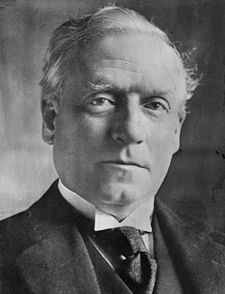 1852 H. H. Asquith, Prime Minister of the United Kingdom, was born (d. 1928). 1857 The SS Central America sank drowning a total of 426 passengers and crew, including Captain William Lewis Herndon. The ship was carrying 13–15 tons of gold from the San Francisco Gold Rush. 1888 Maurice Chevalier, French singer and actor, was born (d. 1972). 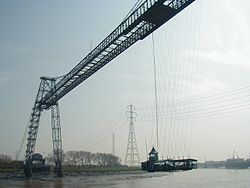 1906 The Newport Transporter Bridge was opened by Viscount Tredegar. 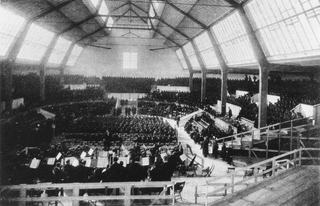 1910 Premiere performance of Gustav Mahler’s Symphony No. 8 in Munich (with a chorus of 852 singers and an orchestra of 171 players). 1913 Jesse Owens, American athlete, was born (d. 1980). 1919 Adolf Hitler joined the German Workers Party. 1930 Wilfred Rhodes ended his 1110-game first-class career by taking 5 for 95 for H.D.G. Leveson Gower’s XI against the Australians. 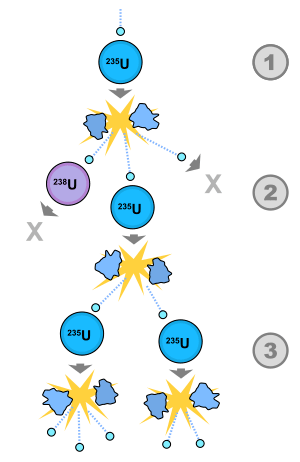 1933 Leó Szilárd, waiting for a red light conceived the idea of the nuclear chain reaction. 1940 An explosion at the Hercules Powder Company plant in Kenvil, New Jersey killed 51 people and injured over 200. 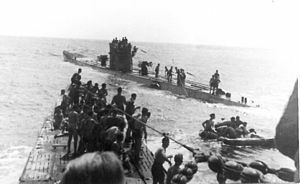 1942 RMS Laconia, carrying civilians, Allied soldiers and Italian POWs was torpedoed off the coast of West Africa and sankwith a heavy loss of life. 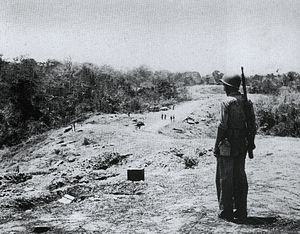 1942 First day of the Battle of Edson’s Ridge during the Guadalcanal campaign. 1943 Benito Mussolini was rescued from house arrest on the Gran Sasso in Abruzzi, by German commando forces led by Otto Skorzeny. 1948 Invasion of the State of Hyderabad by the Indian Army on the day after the Pakistani leader Jinnah’s death. 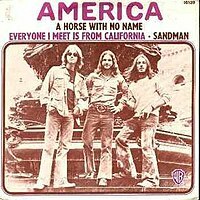 1952 Gerry Beckley, American musician (America), was born. 1952 Strange occurrences, including a monster sighting, in Flatwoods, West Virginia. 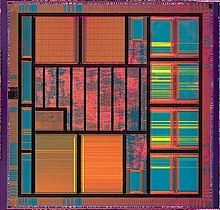 1958 Jack Kilby demonstrated the first integrated circuit. 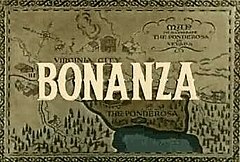 1959 Premiere of Bonanza, the first regularly-scheduled TV programme presented in color. 1964 Canyonlands National Park was designated as a National Park. 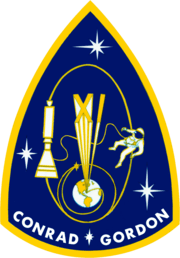 1966 Gemini 11, the penultimate mission of NASA’s Gemini programme. 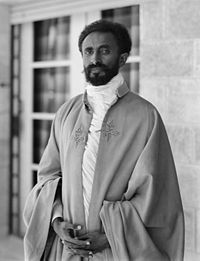 1974 Emperor Haile Selassie of Ethiopia was deposed following a military coup by the Derg, ending a reign of 58 years. 1977 South African anti-apartheid activist Steve Biko was killed in police custody. 1979 Indonesia was hit by an earthquake that measures 8.1 on the Richter scale. 1980 Military coup in Turkey. 1981 Flour bombs ended the rugby test between the All Blacks and Springboks at Eden Park. 1983 A Wells Fargo depot in West Hartfor,was robbed of approximately US$7 million by Los Macheteros. 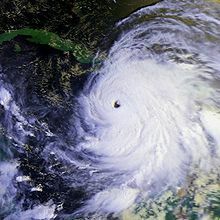 1988 Hurricane Gilbert devastated Jamaica. 1990 The two German states and the Four Powers signed the Treaty on the Final Settlement With Respect to Germany in Moscow, paving the way for German re-unification. 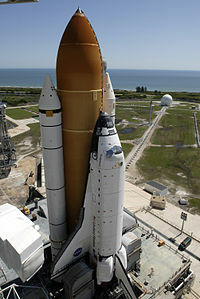 1992 NASA launched Space Shuttle Endeavour on STS-47 which marked the 50th shuttle mission. On board were Mae Carol Jemison, the first African-American woman in space, Mamoru Mohri, the first Japanese citizen to fly in a US spaceship, and Mark Lee and Jan Davis, the first married couple in space. 1992 Abimael Guzmán, leader of the Shining Path, was captured by Peruvian special forces. 1994 Frank Eugene Corder crashed a single-engine Cessna 150 into the White House’s south lawn, striking the West wing and killing himself. 2001 Ansett Australia, Australia’s first commercial interstate airline, collapsed due to increased strain on the international airline industry, leaving 10,000 people unemployed. 2003 – In Fallujah, US forces mistakenly shot and killed eight Iraqi police officers. 2005 Hong Kong Disneyland opened. 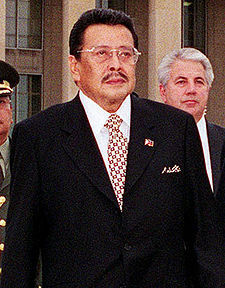 2007 Former Philippine President Joseph Estrada was convicted of the crime of plunder. 2008 The 2008 Chatsworth train collision between a Metrolink commuter train and a Pacific Union Freight Train killed 25 people. You are currently browsing the Homepaddock blog archives for the day Sunday, September 12th, 2010.